In today’s competitive market, there is an increasing pressure for global companies to implement their latest technology first to the market. VIENNA, AUSTRIA, November 22, 2018 /EINPresswire.com/ — Continuous innovation, growing productivity, cutting costs and globalization are becoming a high priority among leaders. While globalization opens the door to many new markets, consistent and high quality publication across various media forms is essential to ensure accurate communication with your target audience. Janus Worldwide offers an array of localization, engineering, reviewing and testing services as well as in-house developments like Global Technology Platform (GTP) to their clients. Our localization engineers and internationalization specialists coupled with our ISO certified Quality Management system and testing process ensures our clients receive comprehensive localization services. Fujitsu is the leading Japanese information and communication technology (ICT) company, offering a full range of technology products, solutions and services. It is the world's 7th largest IT services provider and No.1 in Japan. 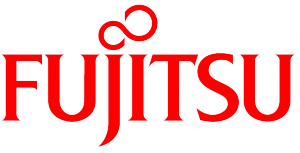 Janus and Fujitsu started collaboration in November 2017. •	Requests of up to 500 words per job will be delivered back in 4 hours. •	Requests from 500 words up to 1000 words per job will be delivered back in 8 hours. •	Requests between 1000-2000 words will be delivered back in 24 hours maximum. •	Requests to translate up to 22 pages of text or 8000 words will be delivered back in 72 hours. •	Janus has created an expert team to provide excellent customer service to Fujitsu, including a Program Manager with over 20 years’ experience in the industry. "Working with Janus made our life easier. Communication is smooth and quick, they have recently implemented a special channel for us, which gives us a chance to optimize timings and to be more flexible". "We work as a team and are able to develop our services, bearing in mind continuous improvement. Our critical feedback is always taken into consideration, which is important for our good customer service and good quality translation". 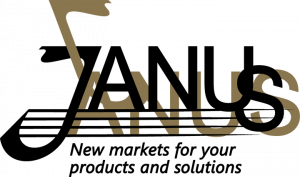 "Moreover, if there are special requirements Janus is willing to go the extra mile and deliver. We are pleased to be working with them and are looking forward to seeing what else they are capable of". To discover more about Janus Worldwide and our innovative translation and localization solutions, please email perfect@janusww.com or connect with our sales team in our global markets.